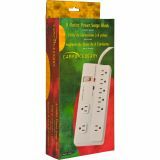 Compucessory 8-Outlet Strip Surge Protectors - Strip surge protector offers electrical outlet protection. 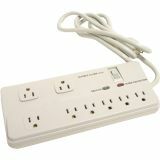 Eight grounded outlets include three spaced outlets for large transformer blocks and five standard plugs. 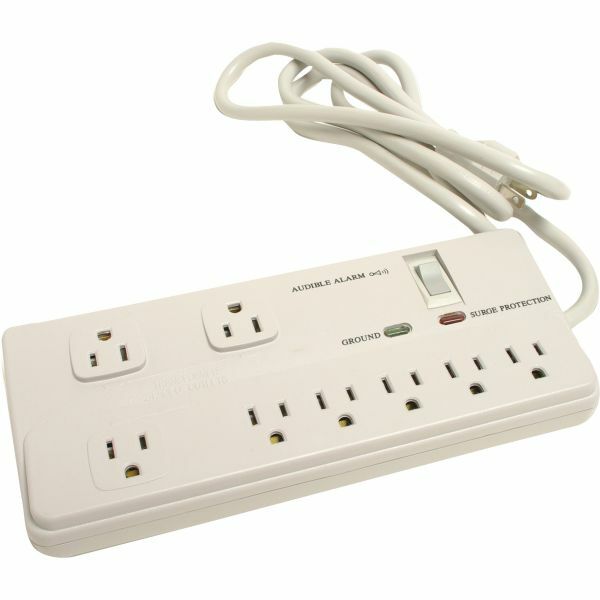 Strip surge protector has a 15 amp circuit breaker. Design also features a 6' cord, nonflammable plastic housing and mounting holes, EMI/RFI noise filter and sliding safety covers. UL listed. cUL approved.